Welcome! Inner Light Network is a new light bringing organization dedicated to the ascension of all humanity and the planet Terra. 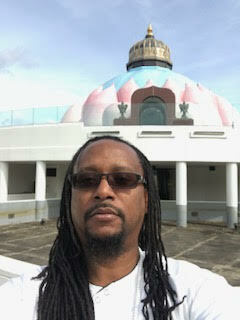 As we move into 5D Tara, angelic humans must embrace their mission and take responsibility for their spiritual growth. 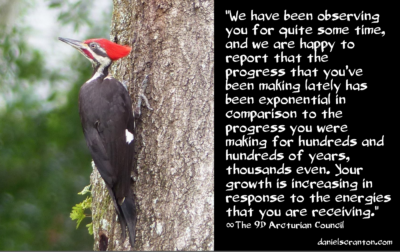 We have been observing you for quite some time, and we are happy to report that the progress that you’ve been making lately has been exponential in comparison to the progress you were making for hundreds and hundreds of years, thousands even. Your growth is increasing in response to the energies that you are receiving, and additionally, you are benefitting from all of the traumas and tragedies that you’ve been experiencing both in this lifetime, and in your past lives. You are not buckling under. You are not running and hiding. You are meeting all of it, that which is of a low frequency and that which is of a high frequency, face on, and the results are impressive. We can see the continued expansion and evolution of your consciousness, and the only thing left for all of you to do is to decide what type of fifth dimension you want to experience. Again, given the progress that you are making, the fifth dimension that we see in front of you is one with very little conflict, almost no struggle, and a tremendous amount of harmony. You’ve already done everything else in the third dimension, and now it’s time for you to experience what it’s like to be in harmony with one another, with your planet, and with the entire galaxy. The next steps in your process of evolution will be to do less and receive more. Things are going to get easier for you before you shift, because the time is now. The time is upon you to let go of the third dimensional ways, the third dimensional paradigm, and the third dimensional beliefs that you’ve been using to create your reality. We see so many of you working with vibration, working with sound, and working with the non-physical beings, such as ourselves, that are helping. You are much more interested now in collaboration than in competition. You are much less egoic now than you have ever been, but when you sense that there is a fragment there of your ego that is hanging on to something, be gentle. Be gentle with yourselves because you don’t need to work so hard. You don’t need to make up for past mistakes, and you don’t need to make this ascension happen. It is happening, and you are all doing so well. You are accepting the way life is now to the best of your ability, even though you can feel what is coming your way, and it is quite exhilarating to consider. But consider this: your progress has gotten our attention enough to where we felt that we needed to give you this progress report. If you have an article you want to be published on our blog, please email it to aniausar@gmail.com. Total Page Views THANKS FOR YOUR SUPPORT!